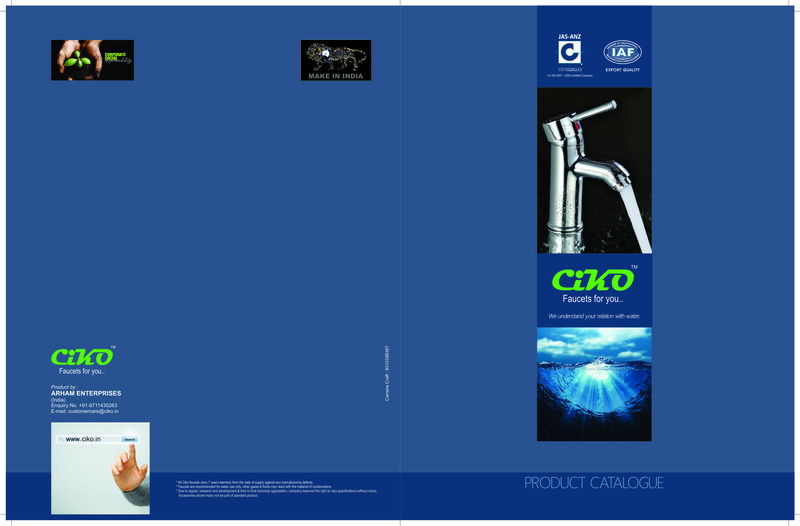 CIKO Bath Fittings is incepted in the year 2015 are one of the leading manufacturers, suppliers, traders and wholesalers of extensive range of Luxury Bath Fittings. Our premium quality products comprise Bath Fittings, Bathroom sets and Accessories. These are available in varied finishes to successfully meet the specific application demands in a commercial and residential environment. Our experienced professionals manufacture the entire range with appropriate quality parameters and accurate dimensions due to which these can easily be maintained. We have instituted a tremendous and spacious infrastructure that spread over a large area of land and assists us to manufacture product in bulk to accomplish industry demand. The infrastructure is further carved up into well equipped units such as production, quality control, warehouse, packaging, sales & marketing, etc. Each unit is furnished with hi-tech technological machines that plays an important role in manufacturing product at par with the international quality norms. In addition, these machines help us in accomplishing an ample requirement of the clients within the promised time frame. Moreover, we have hired a team of proficient and skilled professionals that fluently manage each unit to ensure smooth and flawless production process. Also, this team ensures the proper coordination among all these units so that a consistent quality range of products can be developed in complete compliance with clients specified requirements. We also take care to regularly upgrade our production unit to move with the pace of time in terms of production quality. Under the adept and skillful guidance of our proprietor, we have been able to meet the precise needs of clients in the most efficient manner. His vast industry understanding and sharp business insight assist us to become leaders of the industry.